Mill Reach Holding Limited owns an acre of industrial property on Mill Reach Lane (#7 & #9), Pembroke. Parties interested in learning more about the industrial party are urged to contact Warren Jones at wjones@stevedoring.bm. 0.9 acres or 32,204 square feet rented. Property is presently hosting retail and industrial interests. 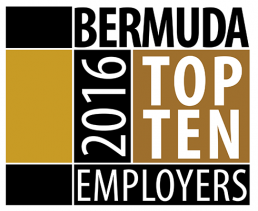 Through MRH, PHC impacts Bermuda's real estate industry and plays a key role in today's economy. Polaris’ financial success has been primarily built around its staff and a three-year administrative clean-up and operational reorganisation which saw headcount reduced, pay rates frozen, improved training, enhanced relations with the Corporation of Hamilton, Bermuda Industrial Union, the company’s customers and key stakeholders and a material investment in equipment, maintenance and infrastructure. Polaris Holding Company Ltd. was formed on 28 March 2011.